Call Today For Your Free Smile Exam! Welcome To Lakewood Orthodontics In Lee's Summit & Pleasant Hill, MO! Attaining your perfect smile is a life changing experience. The team at Lakewood Orthodontics knows how important your smile is to you and that's why we treat you like part of our family. We pride ourselves in offering you state of the art orthodontic care in a fun, family friendly environment. If you're in the Lee's Summit or Pleasant Hill area, Lakewood Orthodontics is where your smile needs to be! A Beautiful Smile Is A Reflection Of Your Health, Happiness, And Success. We can meet all of your orthodontic needs to help you live your life confidently and with a smile. 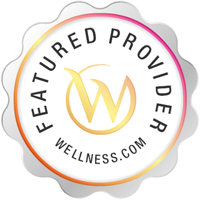 We recognize that each of our patients has unique concerns and goals when it comes to achieving their perfect smile. 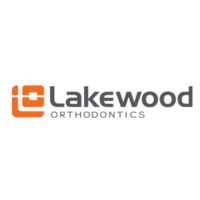 Dr. Ravi Rajanna and the Lakewood Orthodontics team, use the right combination of treatment design and cutting edge technology, including Invisalign, clear braces and Harmony hidden braces to ensure you get the most out of your orthodontic treatment. Come see us today and find out how we make Kansas City smile! PROVIDING ORTHODONTIC SERVICES TO EASTERN JACKSON COUNTY INCLUDING LEE'S SUMMIT, BLUE SPRINGS, INDEPENDENCE, GRAIN VALLEY, RAYTOWN, PLEASANT HILL, LONE JACK, HOLDEN AND GREATER KANSAS CITY.